The brand-new ReStore is now open every Thursday, Friday, and Saturday from 10:00 a.m. to 6:00 p.m. Come join in the fun and come check it out! We are located at 3822 Frisco Road in Sherman, Texas. Off of Texoma Parkway, turn east on the road between Enterprise Rental Cars and KXII Studios. That’s Frisco Road, and we’re one-quarter of a mile south of there, on the right (west) side of the street. We’re leasing part of the building that used to be the old National Health Studio. Our ReStore will take the place of the quarterly Home Improvement Sales that Habitat for Humanity of Grayson County used to hold in our warehouse on Brockett Street in Sherman. With the new facility, we will be able to accept donations directly at the store and have it open every week for you to come see what new and interesting donations that we have received! You can be a part of this worthwhile mission by Donating, Shopping, and Volunteering at our ReStore! If you would like further information about any of this, please contact our ReStore Manager, Carrie Bolin at 903-327-3204 or via email at ReStoreGrayson@gmail.com. We are looking for enthusiastic volunteers to work in our ReStore! Can you or your friends, church, civic club, or business like to volunteer? 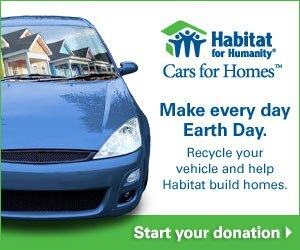 Can you donate any gently used home furnishings, appliances, building materials, tools, or more for us to sell in our ReStore? If so, please contact Carrie Bolin, ReStore Manager, at 903-327-3204 or email ReStoregrayson@gmail.com.